The symposium is a day-long series of lectures by professionals in viticulture, enology, and marketing. Lectures are designed to present new and relevant information to professionals and amateurs involved with any aspect of grape growing or the wine industry. 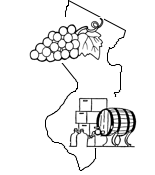 This program will look at the similarities of the New Jersey terroir and Bordeaux and present methods to adapt our Mid-Atlantic grape and wine production to more closely resemble French methodology. The making of the 2011 Governor’s Cup winners will also be addressed.